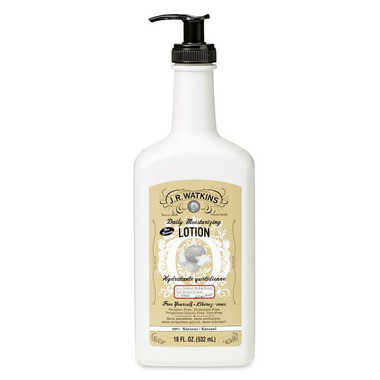 J.R Watkins Hand and Body Lotion will keep your delicate skin soft and nurtured. This rich, every-day formula contains ten essential oils and plant-derived extracts to give your skin deep, long-lasting moisture. A combination of shea & cocoa butters softens skin in the driest of conditions, leaving it naturally smooth and nourished. *Coconut Milk & Honey Scent - Enjoy the delicate, nutty fragrance of coconut milk with a touch of honey and find a quiet spot to slow down and relax. I love love love the coconut milk and honey lotion! Light scent and smells amazing! My favorite lotion. I got a sample of this product with one of my Well orders. The scent is so amazing and it is insanely moisturizing! Will buy the bigger version with my next order. Smooth, non greasy and with a light scent. I like it. Wonderful product. Mild scent, goes on smoothly and no greasy residue. I use it everyday. This cream feels very heavy on my skin. I have sensitive skin and it doesn't leaves my skin silky. It doesn't scent honey and coconut but more like apricot.